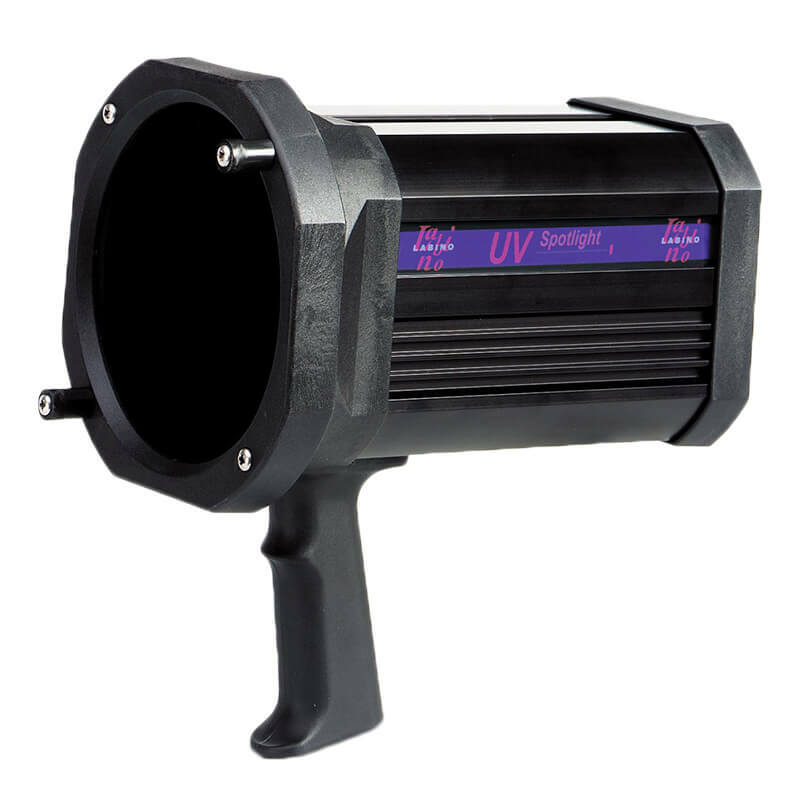 MB Hercules Ex is probably the most durable UV light in the world today! This product has been specifically developed for use in areas where the risk of an explosion is high but can also be used in any "heavy duty" environment. Use of explosion proof products is often required in Offshore Oil Rigs, Refineries, Aerospace, and Defense. All Hercules Ex tests have been conducted by independent accredited labs which employ highly qualified trained personnel and onsite audits are performed on a quarterly basis to maintain its explosion proof accreditation. 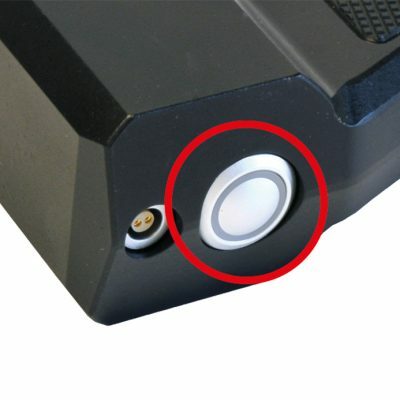 For the safety of your staff and out of respect for your investments please be advised that UV lights manufactured in low cost countries, claiming to be explosion proof and making use of the ATEX EX mark, have been identified not to be explosion proof. 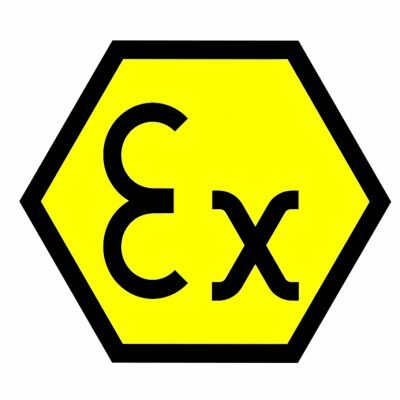 To verify if a product is explosion proof ask the local distributors of those lights for the ATEX certification number and check the authenticity of that certification number as ALL ATEX certificates are available online. Have a look at our Hercules Ex video. 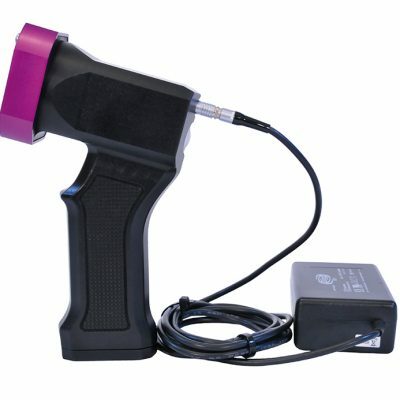 Hercules Ex is an extremely durable product and has successfully completed extremely tough tests among them; thermal endurance to heat, a test that requires the unit to be in a heat chamber for 28 days in temperatures no less than 176 degrees Fehrenheit (80 degrees Celsius); impact tests; drop tests; ingress protection tests and more. Labino AB maintains all certificates from all the tests conducted by independent accredited labs and are listed in the declaration of conformity that is supplied with every unit sold. 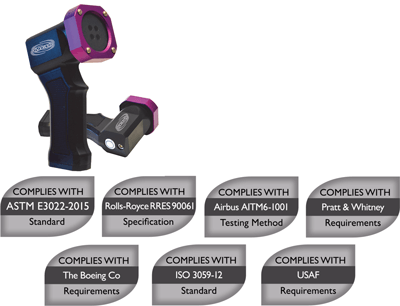 With each light we also include a unit test report for ASTM E3022-15, Rolls-Royce RRES 90061 and Airbus AITM6-1001. Hercules Ex tests have been performed with all parts included as one unit and without selectively removing any of the vulnerable parts observed in common lights, such as the battery pack or the handle. Marketing campaigns have been observed encouraging consumers mistreating products that contain lithium batteries. Lithium batteries are classified by international organizations such as IATA as "dangerous goods". 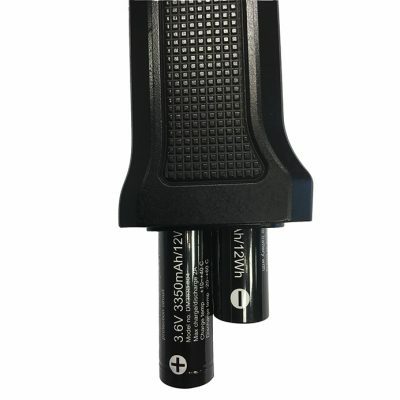 Labino does not recommend that you drop products with lithium batteries for fun as several incidences (none involving Labino products) have occurred and recorded by the FAA office of security and hazardous materials safety. Labino has made these tests for you, without removing the battery pack from the Hercules Ex. 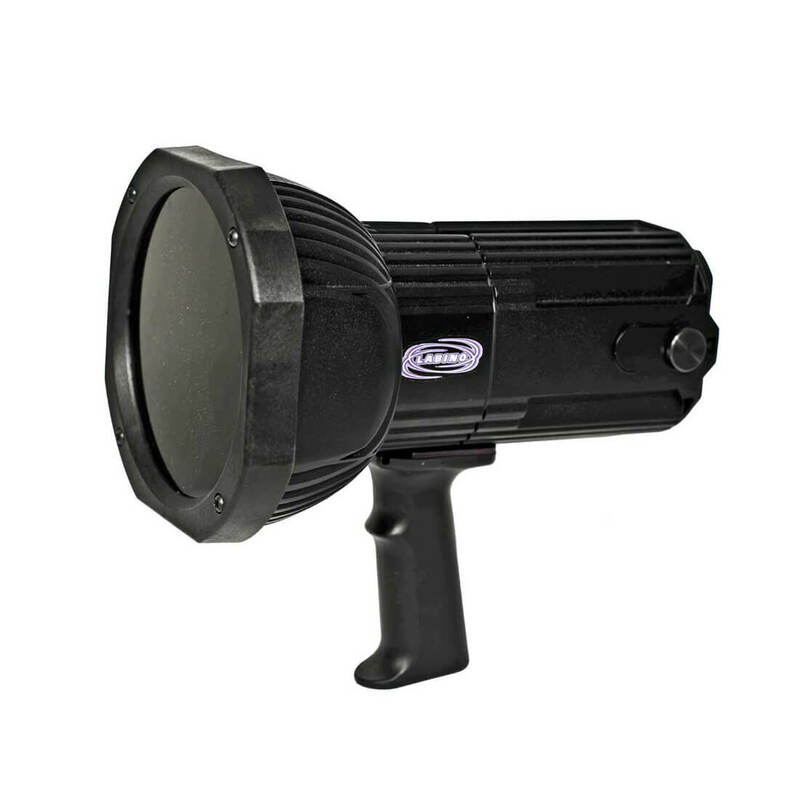 This unique light is battery powered, it has four UV LEDs and has an intensity of 4,000 μw/cm2. 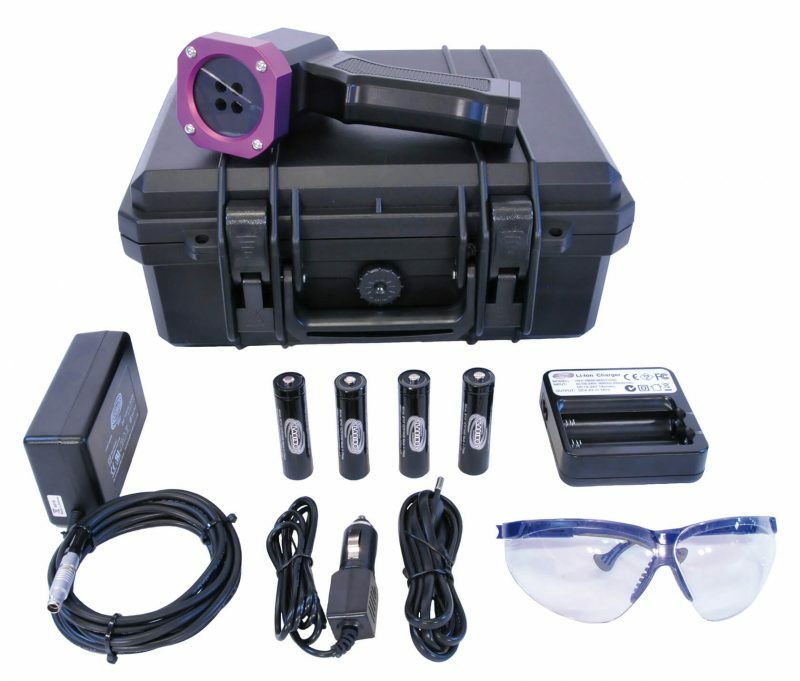 A charger is supplied with each lamp enabling users to charge the batteries without removing them from the lamp. Charging of batteries should only take place outside explosive atmospheres. 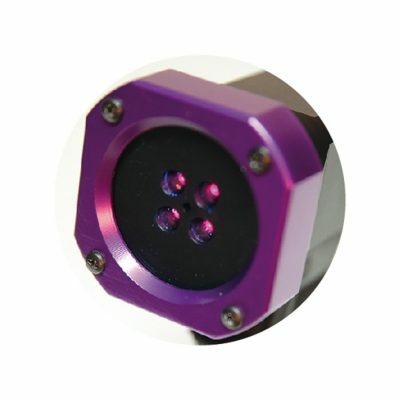 This unique product complies with ASTM E3022-15, Rolls-Royce RRES 90061 and Airbus AITM6-1001. A certificate of conformity is provided with every light as well as a 12 month warranty. 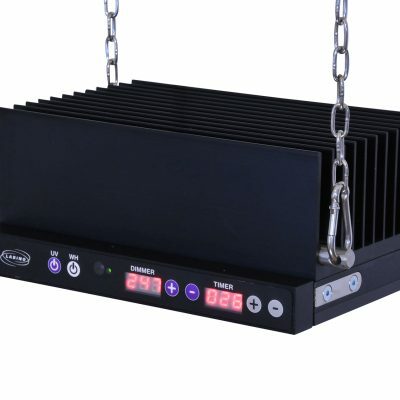 Have a look at our Hercules Ex video for more information. 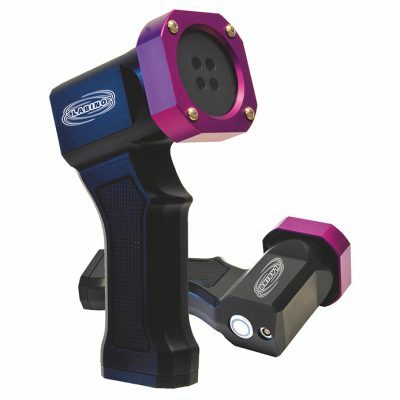 MB Hercules Ex has successfully completed extremely tough tests, amongst them tests for thermal conditioning, Impact Tests, Drop Tests, IP tests that led to the ATEX certification (Certificate: ITS17ATEX402144X). 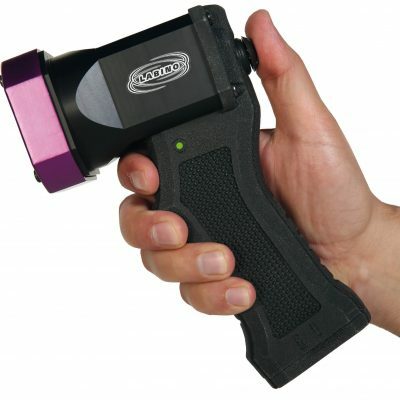 This unique product is suitable for use in extreme weather conditions varying from 104° Fahrenheit (+ 40° Celsius) to minus 4° Fahrenheit (- 20° Celsius). Furthermore, Hercules Ex has successfully completed all tests and audits leading to its certification for IECEx (Certificate: IECEx ITS 17.0056X), NFPA 70 Article 500 for Class I (divisions II locations) and the United States military tests, Salt Fog Test and Explosive Atmosphere Test. It has an ingress protection marking of IP66.